2017 is Ending Soon and in 2017 various laptop are come with awesome features.now you are looking for Best Budget Laptop in India. Here in this article we give you list of Top 10 Best Selling Laptops In India 2017. Some of these also come with graphics card for your gaming needs. However, just don’t expect to play a lot of modern games on high settings. Browsing, watching movies, running every-day software should be a breeze on these laptops.These is our comprehensive list of the best laptop for students. Dell’s current XPS lineup won many accolades across the globe and continues to do so here in India. The XPS 13 with its Xfinity display is a head turner when it comes to looks, making it an automatic pick for being the best laptop of 2017. The body is made out of machined aluminum, with a carbon fiber palm rest and a glass trackpad. Powered by a 5th Gen Intel Core i5 processor, the Dell XPS is one of the few Windows-powered laptops that can last for more than 10 hours between charges. All of these combine to make the XPS 13 the best laptop among the Top 10 laptops in India. The HP Spectre 360 ranks among the best laptops of 2016 with its slim profile and latest generation hardware. Undoubtedly one of the best laptops in India, the Spectre 360 offers a similar spec sheet to the Dell XPS 13. It houses a 13.3-inch touchscreen display with 2560×1440-pixel screen resolution. Moreover, it has a flexible hinge and the display can be rotated completely to be used as a tablet. The Apple MacBook Air has always remained a great, all-purpose everyday machine and makes for one of the best laptops in India. While the next refresh of the MacBook is still a few months away, the current MacBook is a noble work machine that everyone would love. The 5th gen Intel Core i5 processor is coupled with 4GB of RAM and 256GB of PCIe-based flash storage. It offers one of the best keyboard and trackpads in the market. But, the best bit is its battery life which goes beyond the 11 hours mark in a single charge, making it rank among the top 10 laptops of 2016. 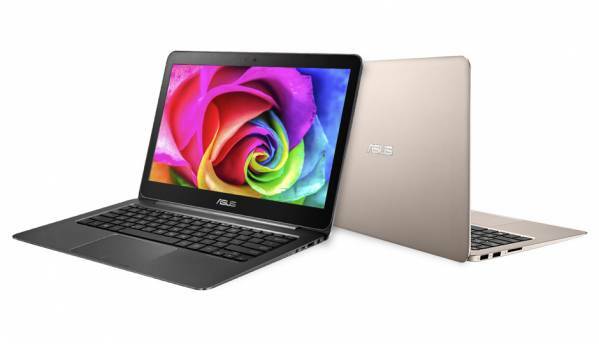 After the UX305FA, which featured a fanless Core M processor, Asus added this powerful ultrabook to the lineup. The Asus UX305LA is easily one of the most powerful ultrabooks out there. It is powered by a 5th gen Intel Core i7 processor and features 8GB of RAM. For storage, it uses a class leading M.2 512GB SSD. The 13.3-inch display has a 3200 x 1800p resolution. There is a 6-cell battery on-board the laptop, which Asus claims can provide upto 12 hours of on-time. The whole package weighs just 1.3kg, making for one of the lighter laptops of 2016. HP Envy series has always been about finding the right balance between performance and portability, and the HP Envy 14-joo8tx is a fine example of best laptop. The 14-inch laptop offers quite a lot in a lightweight 2 kg body. It is powered by an Intel Core i7 processor which is coupled with 12GB of RAM. The graphics are handled by Nvidia GeForce GTX 950M 4GB DDR3 GPU which can handle most games with ease. For storage, the laptop comes with 1TB of HDD. For people who swear by the Thinkpad’s keyboard, the Lenovo Z51-70 is the laptop to choose from among the best laptops in India. 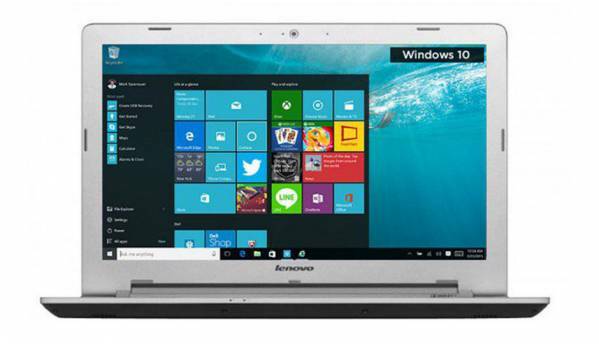 This 15.6-inch work machine sports a 5th Gen Intel Core i5 processor and 8GB of RAM. There is an AMD GPU on-board, the AMD TROPO XT2 (R9 375), which comes with 4GB of DDR3 VRAM. It comes with 1TB HDD, a 4-cell battery and weighs 2.3 Kgs. HP Pavilion has also received a refresh this year and offers some good bang for buck laptops. This HP Pavilion 15-abo32tx has quite a spec sheet when compared to other contenders in its price range. The laptop comes with a 5th gen Intel Core i5 processor and 8GB of RAM. There is 2GB of GPU onboard, namely the Nvidia GeForce 940M, which is good enough to play demanding games in low or medium settings. It comes with a 1TB storage drive and 15.6-inch 1080p display, making it one of the most well-rounded laptops in India. The entire Asus X555 series from Asus has been a good update for this year with refreshed specs and better portability, bringing it up among the best laptops of 2016. The Asus X555LJ XX132H is leading the charge among others from the series. Among the latest laptops of 2016, this sub-50k laptop comes with a 5th gen Intel Core i5 processor and 8GB of RAM. It also comes with entry level Nvidia GeForce 920M GPU, along with 2GB of DDR3 VRAM. The display is run-of-the-mill- 15.6-inch with a 1366x768p resolution. Currently, the Asus UX305FA is one of the lightest windows machines out there. Weighing just 1.2 Kgs, this 13.3-inch laptop offers a sleek design. It is just 1.2cm thin and features a fanless Intel Core M processor. This is not a very powerful processor, but still powerful enough to handle the Full HD display and light office work. It uses an LED panel which offers good viewing angles. Thanks to the Core M processor, the laptop is able to last more than 10 hours on a single charge. While there are convertible and semi-folding laptops available in the market, the Lenovo Yoga 500 is the one that strikes the right balance among the best laptop. It weights less than 2Kgs and looks like any full sized laptop, but is able to feature the typical Yoga hinge without compromising on hardware or budget. The laptop features an Intel Core i5 processor, 4GB of RAM, 2GB Nvidia GeForce (N16V-GM) GPU, 500GB HDD and a 14-inch 1080p touch display.